The following article by Piotr Chmielinski appears on ExplorersWeb in its original and unedited form. Manaslu in Nepal – the eighth highest mountain in the world. 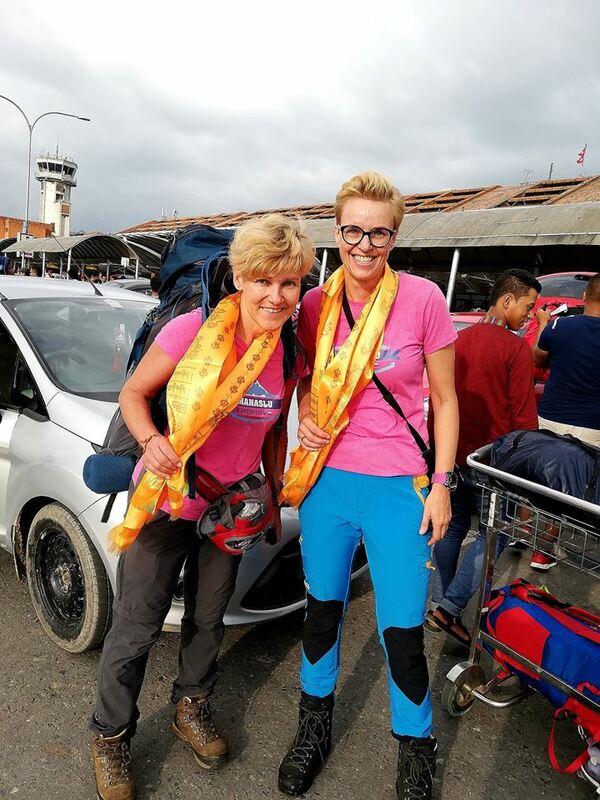 And two Polish female travelers who decided to win the summit. 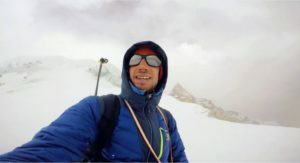 Only 15 Poles have reached the peak so far, including only 3 women. Monika Witkowska and Joanna Kozanecka want to be the next. Will the mountain allow? We’ll find out soon, because the peak attack Manaslu 2018 Awilux Discover” is planned at the turn of September and October. What is their plan? They‘ve set out the trip to the Himalayas on 3 September. After a few days of preparation, they start trekking to the first base at 4750 m above sea level. 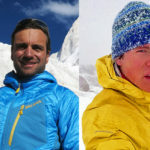 After acclimatization in three subsequent camps, they plan to climb to the summit of Manaslu (8156 m above sea level). They want to do it as only two-members team. – Last year, going to the Annapurna area, I saw this beautiful mountain from a road to Pokhara, I got out of the car and I could not look away. 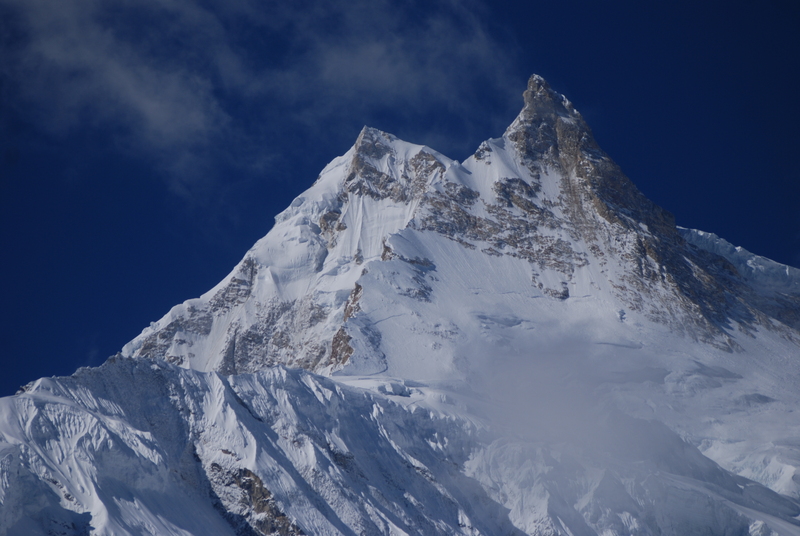 The snow-capped Manaslu looked dignified and also dangerous. Then I thought that I would like to face this mountain, hoping it let me get it– recalls Monika Witkowska. 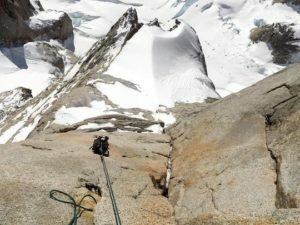 – In climbing, the most important is passion and a kind of symbiosis with the mountain. At the same time, as we climb as women’s team, we want to show that the place of women is at the top– she adds. She underlines that this applies not only to the mountains, but to every sphere of life. The travelers assure that they are both physically prepared and good equipped, but they face the challenge with humility. The final attack depends on many factors, first of all whether “the mountain will turn out to be kind to them”. Luck is also necessary, especially with the weather window while attacking the summit. – Here we are hopeful, because the expedition is supported by Awilux, a company that produces windows– they add. Monika Witkowska is a traveler, journalist, author of books. She won 9 peaks of the Crown of the Earth, including Mount Everest. 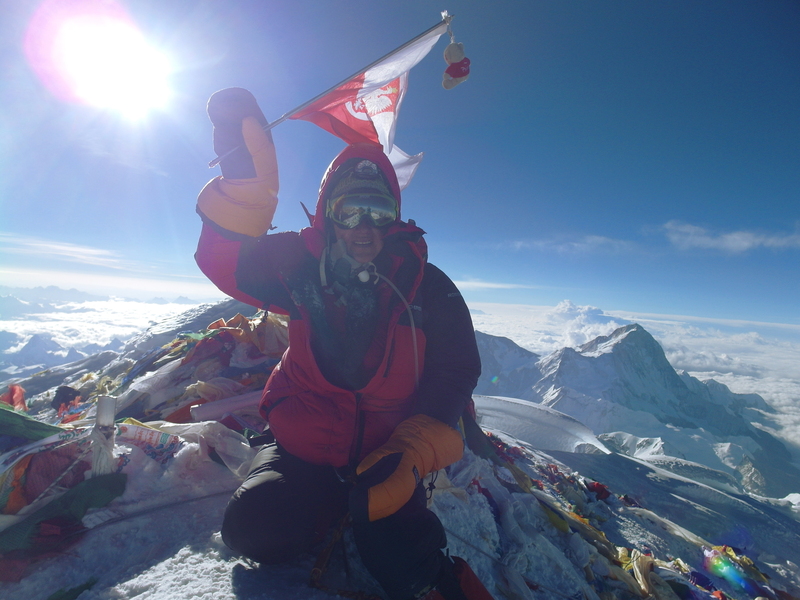 She climbed the summits of Ama Dablam, Matterhorn and Broad Peak as well. She specializes in sea-ocean sailing, especially in polar regions. She sailed round the Cape Horn twice, reached Antarctica and Northwest Passage, a difficult Arctic route from Greenland to Alaska. Together with Borje Ivarsson – as the first in the world – they took a cruise from the north of Canada to the Russian Island of Wrangel and circumnavigated Chukotka. In total, she visited around 180 countries on all continents. 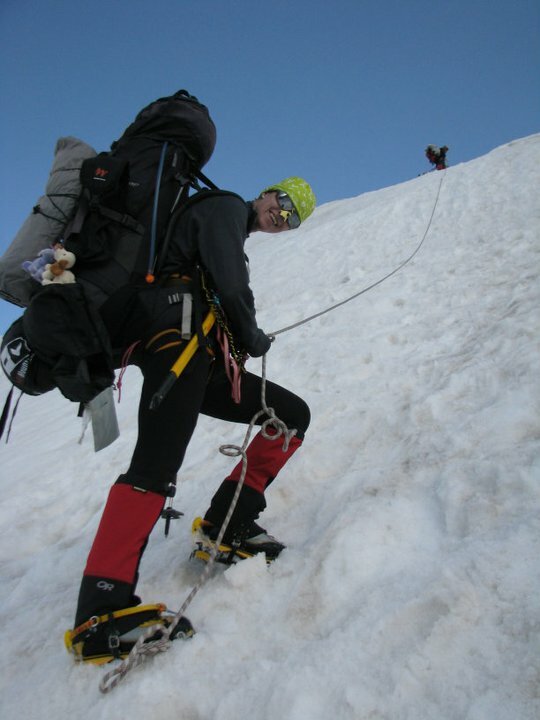 The climbing partner of Monika is Joanna Kozanecka, who started mountaineering from the Beskids and Tatra Mountains, through the Alps, the Andes, to Pamir and the Himalayas. She entered Gerlach in the winter, Mont Blanc, Elbrus, Mt Denali, Aconcagua, Himalayan Dampush Peak and Khang Yatse, as well as Lenin Peak. Her other passion is long-distance running and triathlon. She completed over 30 marathons, 8 Ironmen and numerous ultra runs, including a distance of 150 km. She cycled the entire Polish coast, Bornholm and Kuba. The Manaslu peak – called by the locals “Mountain of the spirit” – is located in Nepal, in the Himalayan massif. Lower than Mount Everest, however, it has higher accident statistics, and avalanches are among the biggest threats. 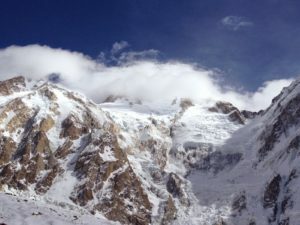 In addition, it is quite a vast massif, whose climbing routes are among the longest in the Himalayas. For the first time, the top of Manaslu was reached in 1956 by four members of the Japanese expedition. 16 years later, the summit was won by the legendary Italian climber, Reinhold Messner. Maciej Berbeka and Ryszard Gajewski entered the mountain on 14 January 1984, as the first entry in the winter. Up to now, the top has been won by 15 Poles, including Kinga Baranowska, Andrzej Bargiel, Artur Hajzer, Jerzy Kukuczka, Piotr Pustelnik, Ryszard Pawłowski and Krzysztof Wielicki. Expedition Manaslu 2018 Awilux Discover is also a symbolic climb for the 14-year-old Magda Samoraj. She is disabled from birth and she does heroic work every day for her health and life. Going to the “Mountain of the spirit”, travelers want to emphasize the needs of the disabled and promote the collection for rehabilitation equipment for Magda. 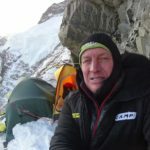 Height of Manaslu – 8156 m – is the goal, which in PLN is the amount needed to buy the necessary lifter. The titular partner of the expedition is Awilux Polska – a provider of window and door solutions for houses and public utility buildings. The company operates in Poland and Germany, basing its services on German technology of SCHÜCO.